← We don’t own the guns: the guns own us. True enough. Only thing is, though, the “NAUGuh” sound puts me in mind of “NAUGAHYDE.” Even if your grandma didn’t live ten miles north of Naugatuck, CT, with its sour rubbery smell before we shipped the jobs overseas, the conflation of any hopeful beginning with one of those slippery leatherette 1950s barcaloungers kind of angries up the blood. My neighborhood grocery is desperately trying to offload what seems to have been too aggressive a purchase of eggnog this year, some of it from fancy up-label brands. I still have about two fingers of the stuff in the frige in the bottom of a plastic milk bottle that I bought more than a month ago, which I’d better get rid of, before the neighborhood trash stream starts smelling like the Naugatuck River! 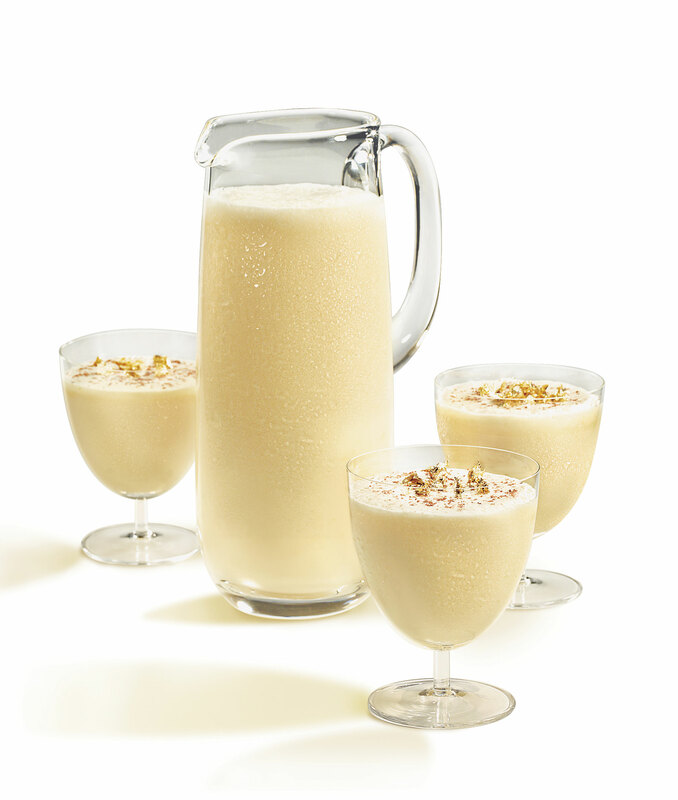 Best way to celebrate this day: by nogging and by emailing your Senator to change the filibuster. The change must happen tomorrow. It’s now or never. Living in the Capital, we left for a long hike fur enough not to be nogged. The only thing worth remembering on a cold day when empty promised lower air quality is: the next candidate that talks about hope and change and nothing else, run for your life. I watched the morning’s events on tee vee and got a little misty-eyed seeing the crowds on the National Mall and those lovely Obama women up on the stage, just as I did four years ago. Last time I was living overseas and had to get up in the wee hours to do this. Meanwhile, in the homes of my hoplophilic, melanophobic, exurban relatives, the TVs were silent for the first time in four years. I’m okay with my position on this one. I thought the speech, while broad and conciliatory in style, did a great job aligning the Founders & the course of American history in general with modern progressive goals in particular. So in the end, it wasn’t a Kum-Bye-Yah speech at all, no “there is no red America, no blue America, but only the United States of America” type speech. It very clearly said that American History is on the side of blue America’s values. That said: Progressives, I hope you liked the speech! Use re-runs of it to keep you warm when he inevitably disappoints and compromises with the hostage-takers. I’m a total sap for ceremonies (I always go to graduation, and usually cry there too), so like truffula, I got a bit misty eyed at moments today. Like H’Ann, I thought the speech good at connecting historical ideas to current progressive ones. And in addition to the “Seneca Falls, and Selma and Stonewall” line, I was struck by the mention of climate change. I was also struck by the crowd, and all the parents and grandparents who wanted the children in their life to remember it. I thought about my mother, bringing her 3 children up to 125th St. and Park Ave in NYC to see JFK during the 1960 campaign. We can get cynical about civil religion, but I think the way the older generations try to tell their children about what matters is fascinating. Oh, and is there a recipe for in-nogger-ation? It was a good speech; it was about “a more perfect union” and about progress. We shall see, we shall see. I say if the way you say it makes you think of naugahyde, yur still doin it rong. There. I’m sure you’re all relieved I’m here to clear up these little problems. Thanks, quixote! That’s exactly how *I* pronounce it. It’s really only a little more work than in-NOGGER-ate. One of my FB friends said he hadn’t known about this Seneca Falls thing until he heard it in the President’s speech and went and looked it up. How sad is that? Well, Linden, you might be sad, or you could look on the bright side and remember that your friend used the opportunity to learn something! I am sure that there were a number of Americans who missed one or both of those “S” sites listed by the President yesterday. I choose to be pleased that the Prez mentioned these things at all, and that many more Americans (and others, perhaps) used the opportunity to learn a little more history.